Do you have unwanted belly fat? Has it been harder for you to get rid of this fat on your body than any of the other areas of your body, such as your thighs, legs and arms? If so, you may be wondering what it is you can do to target that weight around the stomach area. While it is not always possible to lose weight specifically from one area, getting into a healthy routine will allow you to shed pounds and get a much flatter stomach. You may only need to eat a certain amount of calories based on your height, weight and various other factors. If you are consuming a lot of unnecessary calories, it is going to be hard for you to lose weight and get rid of the belly fat. While it is important to find out how many calories you should consume based on your size and activity levels, the ideal amount of calories to consume while dieting is anywhere between 1500 and 1800. Since you will have to eat fewer calories, it is important to choose your meals wisely. Why waste 300 or 400 calories eating one single doughnut when you can consume 300 or 400 calories worth of low-fat yogurt and fresh fruits that will keep you feeling fuller for a longer period? You should avoid snacking on excessively fatty foods, including chips, cakes and fried foods. If you are eating foods with fewer calories, you can eat a bit more and keep yourself full instead of always feeling hungry. It is important to get exercise. If you are sitting down all the time, you may find it is even easier for you to gain weight. Whether you live a busy life or not, there is always time available to exercise. For example, if you feel like you work too much to want to spend time working out, consider riding a bicycle to work to get some exercise before the day even starts. You could also exercise while you work by using an exercise bike or sitting on a fitness ball while you complete your daily tasks. Even if you do not feel up to doing many vigorous activities, walking can help you lose weight. If you go for a brisk walk after dinner, you can easily burn off some of those calories you just consumed, which will certainly help you with the weight loss process. You definitely do not have to go out and start spending money on exercise equipment just to get into the best shape possible. Instead, you just have to make time to work out each day, even if it is just something light. If you are not sleeping enough, you may have trouble burning some of the calories you consumed. It is crucial to get enough sleep, not just to burn off more calories, but to also avoid feeling excessively tired each day. If you are constantly feeling too tired, you may not want to do your exercises, and then you may get into a bad habit of putting it off for the next day. Try to go to sleep early enough to give yourself at least eight hours of sleep. Some people try to get rest at a decent time, but they find themselves struggling to fall asleep when the time comes. They may be resting in bed for hours just tossing and turning. If you are one of those people who struggle to fall asleep, consider trying to read a book about 30 minutes before the time you want to go to bed. Your eyes should slowly start to get tired from all the reading, which could then help you fall out a bit faster. It is best not to look at your phone or tablet while you are in bed. Those lights from the screen will trick your brain into thinking it is a good time for you to stay up. You may then find yourself browsing the web and listening to music for several hours, which will cause you to lose out on a lot of the sleep you really need. Losing that unwanted belly fat is not nearly as hard as it sounds, but it does take plenty of determination and a willingness to not give up in the process. While you may have struggled in the past to get rid of the stomach fat, you simply need to make some necessary lifestyle changes to start losing some body weight and see the best results. 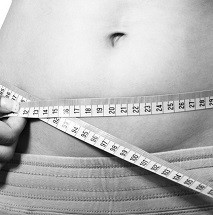 For some other tips to lose belly fat, you can also check the helpful video below… All the best! « Lean Belly Breakthrough Review – Is This System For You?